Pokémon Go is great for motivating kids to start coding. Get them playing Pokémon Go first to get outside and get some exercise and when they've walked a few kilometres to hatch some eggs and their legs are tired you can use their interest to set them off coding. 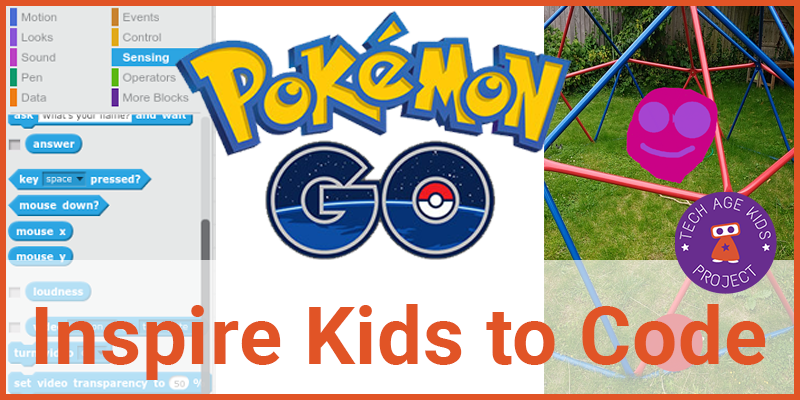 I've put together a few activity ideas for getting kids coding using augmented reality and Pokémon themed activities. It's looking like Pokémon Go is going to be the app that tips augmented reality over from being a curiosity to an everyday occurrence. Why not give your kids a headstart on thinking about how they can augment reality through coding? Pocket Code is a block-based coding app for Android devices. 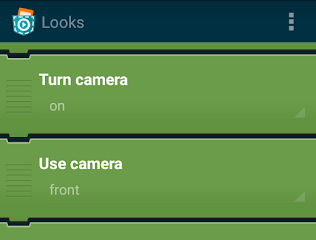 It has a really cool feature that allows you to turn the front or rear camera on as a background for an app or game. The rear camera is perfect for creating augmented reality apps. It has a companion Pocket Paint app which kids can use to draw their own monsters which you can then overlay on the camera view. Neat. There are blocks to detect when objects (such as monsters) are tapped on and you can also detect compass direction and movement of the phone or tablet (unfortunately we don't seem to be able to access GPS coordinates.) You can also make the phone vibrate. There's lots of scope in Pocket Code for kids to be able to create their own augmented reality app. Look under Looks to find the bricks to choose the rear camera and turn the camera on. 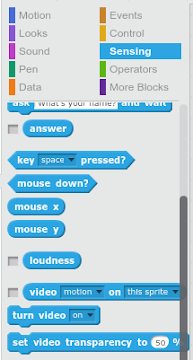 Scratch also allows you to use a video overlay of the camera view and can detect motion. The Bubble Pop game is a classic example of this. They drew their own Pokémon in the Scratch drawing editor and recorded their voices so that the Pokémon would say their own names when clicked on. They saved the sprites and shared them to distribute the effort. Scratch Jr on Android or iOS allows you to use the camera to take a photo and then use that as a static backdrop which is a fun way for little kids to see monsters in the real world and add code to make them interact. Kids could also use Trinket or Mozilla Thimble to learn HTML and create a web page about their own monster. Then get the URL for their web page and create a QR code for it (there are lots of websites that will generate a QR code image.) Print out the QR code and place it somewhere in the real world and then scan the QR code to find the monster. 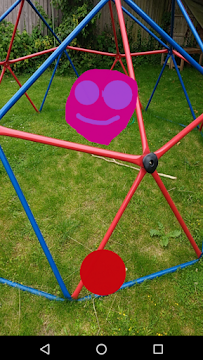 Older siblings could create a real-world monster hunt for younger children in the back garden.